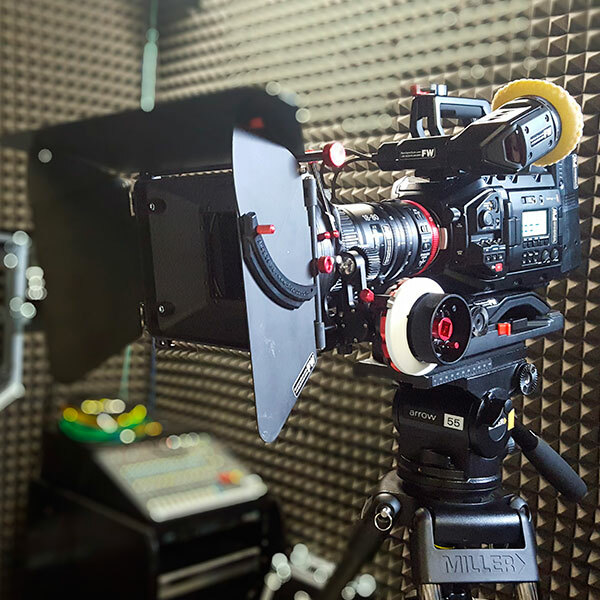 The studio complex comprises an air conditioned, sound & light proof, acoustically treated studio, a green room/gallery area, a makeup room and bathroom, meaning we are able to accommodate your production crew and executive team in comfort. As well as the film studio, there is sole use of an air conditioned gallery / green room, bathroom and makeup room. From the gallery area clients are able to monitor the production from behind a quad glazed glass window. The gallery and studio both have wired 100mb asynchronous internet and a patch panel to feed sound and vision into the gallery area. The green room can accommodate clients and contributors in air conditioned comfort. There is a sofa, chairs, tea and coffee facilities and bathroom. In the main studio complex, there’s also a shower room. 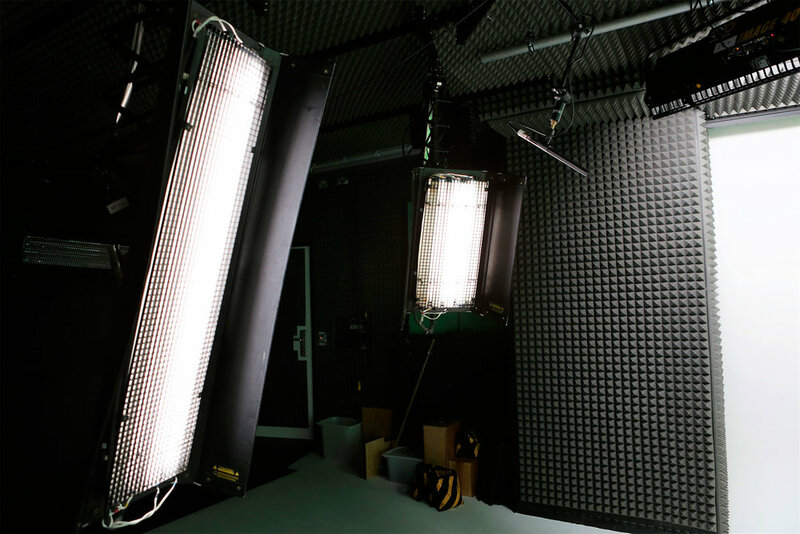 The makeup room is a dedicated room which features production lighting for accurate modelling light. FW Studios comes with lighting rails which can be pre-configured to your requirements. Our standard configuration is shown below and we also offer other light sources which are available upon request. Fixed full width single rail populated with 3x Dedolight DLH2 heads with dichroic filters, controlled by a DT12-4 dimmer. One head is on a 2m drop pantograph, the other two are on Single Spigot Carriages suspended on Manfrotto 2 Section Single Arms. There is a fourth Dedo head available to be used on the studio floor. Fixed bars housing 3x Kinoflo Image 4x4 fixtures with daylight tubes and DMX control. There is the facility to hang a microphone from a movable rail in the centre of the studio, this is pre-rigged with a single XLR cable. 2x JBL Control One speakers are wall mounted behind the camera position, powered by a Sound Lab SP2 amplifier and fed from a Spirit Folio RacPac mixer. 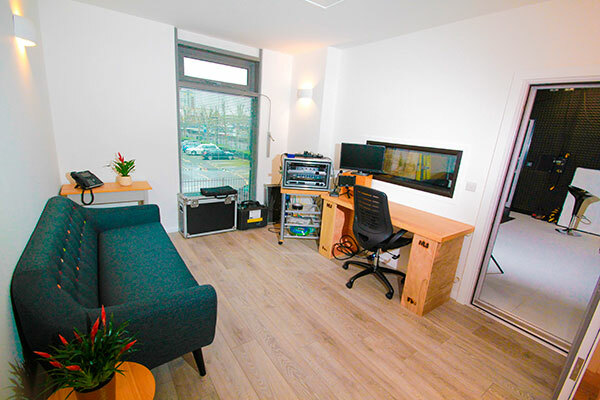 The Control/Green Room is equipped with a PTT (push to talk) mic feeding into the studio and a Genelec 8010A powered speaker fed from the studio via the wall patch bay. 13a mains supply outlets fitted at various points around the studio, at both ground and ceiling levels. 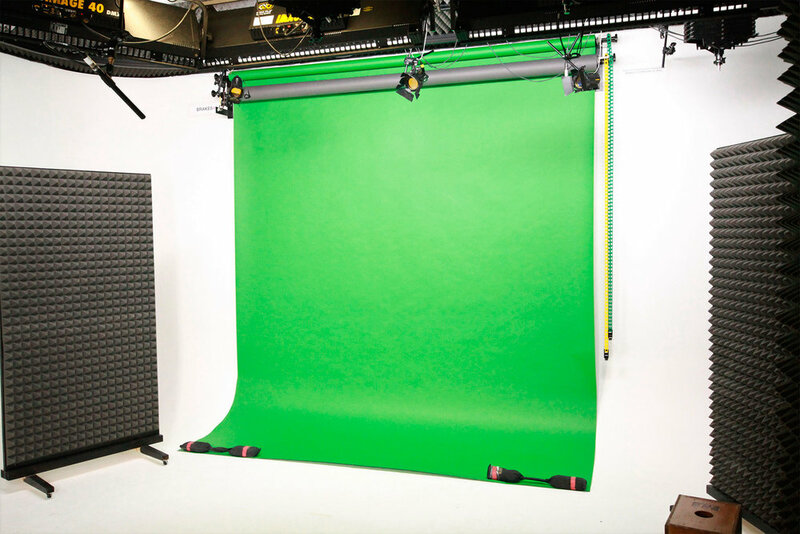 The studio rental includes technical assistance to ensure that everything is set up just as you require for your shoot. We can also supply dedicated production crew – tell us who and what you want and we’ll make it happen.